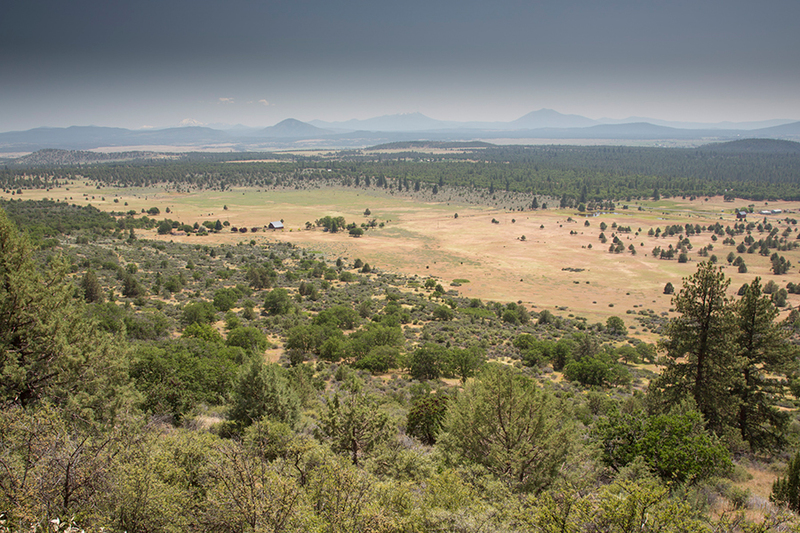 For a number of months in 2012 Wolf OR-7 called the open fields and lava beds of Lassen County home. During his stay he moved extensively amongst cow fields and forest cover, drawing huge circles on the map that tracked his GPS position. We entered Lassen County on a hot Sunday afternoon, cycling through small farming towns many of which, we were told, had seen better days in decades past. We encountered locals who believed they had seen a wolf in their area. The conversations that followed were always interesting. The cycle day was a long one and we spread out as a team, meeting up at McArthur for lunch outside the general store. Along the route some of us met up with a local honey farmer, who gave us a sweet sampling of her wares. One of the team talked to a shop owner about our trip, and asked her about what she thought. After saying, “You don’t want to hear what I think, she politely shared, ‘That wolf should have been shot on first sight’. A view we were told was shared by many in Lassen County. After lunch we crossed a long pass into Big Valley and the heat got the better of our water supply. We ended up knocking on a stranger’s door and asked for water from her garden hose. ’Sure thing”, she said and we filled up. Not five minutes down the road, we heard a small pick-up coming up behind us; it was the same person who just gave us water. She was concerned the water we had filled up with contained excessive iron and so she brought us each a bottle of ice cold bottled water instead – life saver. Wolf OR-7’s time in Lassen County judging by the patterns he left on maps published by various conservation groups, indicate he may have been looking to settle in the region. His forays back towards Oregon were therefore interesting, what was he looking for? Big Valley residents may have been relieved when Wolf OR-7 returned to his Oregonian roots, but with the new ruling protecting wolves as endangered species in California it may be important to support farms in the area to adjust not to just one lone wolf but a nearby pack. Our team had now made it as far south as possible given our time constraints, and looked forward to heading out of the drought back North where finding running water was less challenging.